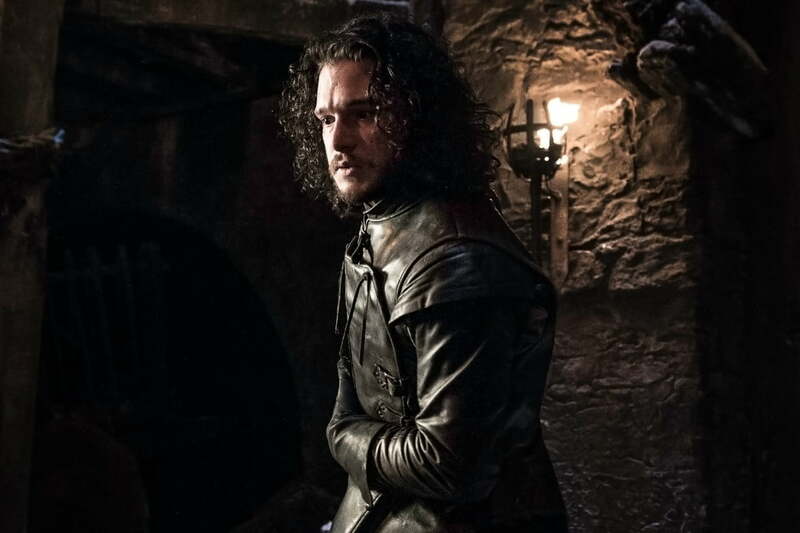 Keeping track of who died, who killed whom, and who’s sleeping with whom — not always mutually exclusive with who is related to whom — in Game of Thrones can be harder to follow than D.C. politics. If you’re new to HBO’s stellar adaptation of George RR Martin’s best-selling series, our list can give you some episodes to look forward to. If you want to refresh your memory before the show’s final season begins on Sunday, April 14, these episodes can also help you skip over the less important bits and hone in on the good stuff. Recaps, decaps, dragons, and deceit — our top 10 contain the biggest surprises and the best back-door deals. This means, of course, that spoilers run rampant throughout the list. Seriously, lots of spoilers. Proceed at your own risk. Don’t say we didn’t warn you. Of all the horrific death scenes in Game of Thrones, this one might have made us the most physically ill. 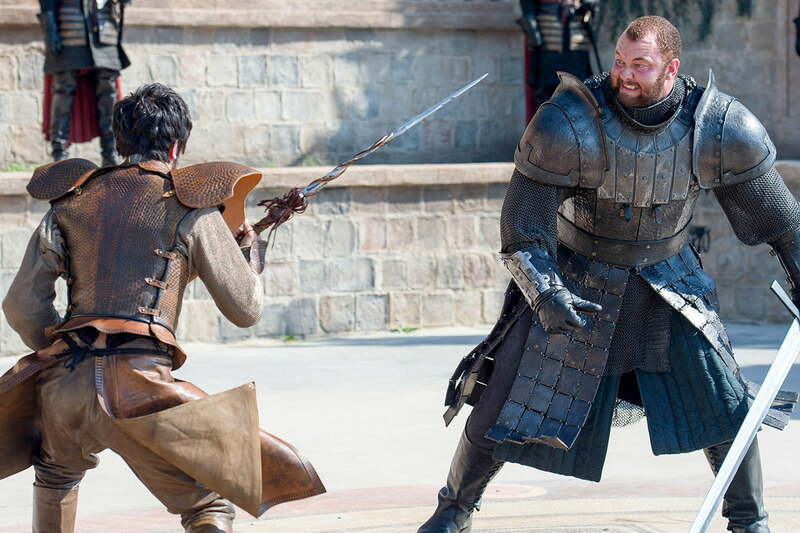 Prince Oberyn of Dorne fights against Ser Gregor Clegane (aka The Mountain) in a battle to determine whether Tyrion will live or die. Why? Because that’s just how justice is done in Westeros, OK? Oberyn believes The Mountain killed his sister and her children, so he’s pretty mad and hops around with his poisoned spear like an angry frog. Ser Gregor, frankly, couldn’t care less. Oberyn gets a hit! A very palpable hit! Then another. Then he gets cocky. And as he struts around Ser Gregor’s monstrous body on the ground demanding a confession, Ser Gregor gives him one — while gouging out his eyes and caving in his skull with his bare hands. Poor Tyrion. Remember this guy? Like The Mountain and the Viper, there’s one really great scene in Hardhome that, despite not much else happening in the episode, garners it a spot on this list. Jon, some wildlings, and some of the Night’s Watch brothers have sailed north to convince more of the wildlings to join forces with them. When they arrive, wights and White Walkers attack. 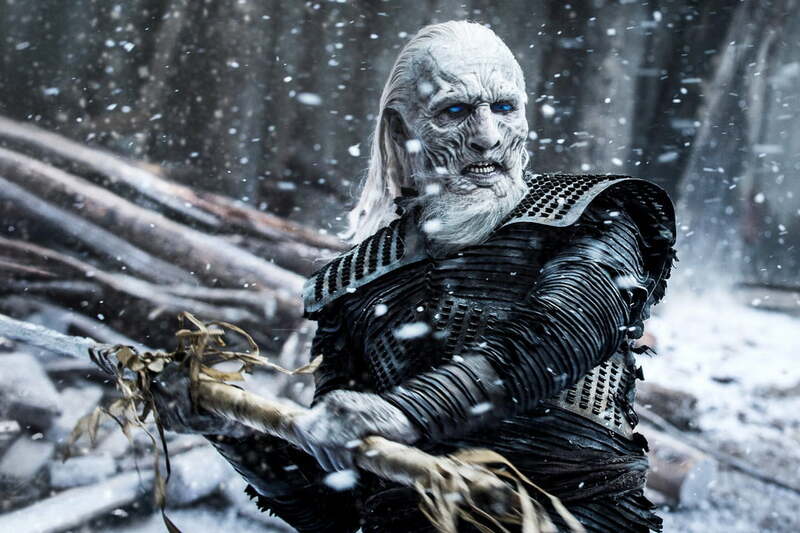 It’s an all-out massacre, and as Jon retreats on a small boat the Night’s King raises his arms, and thus, the dead. Replay that scene in your head while listening to Thriller — or, better yet, just actually watch it. When Game of Thrones’ penultimate season hit its midpoint, it finally started paying off some of its longest-running storylines. In this episode, Arya finally returns to Winterfell, where she reunites with Sansa and Bran after the better part of seven seasons and duels with Brienne. Jon and Daenerys show some sparks, the mysterious Children of the Forest get a little less mysterious and, oh yeah, Dany sics her Dothraki soldiers and a freakin’ dragon on the Lannister army. That’s all stuff that we’d been waiting the better part of seven seasons to see, and boy, did Game of Thrones ever deliver. Things get steamy up in the North. 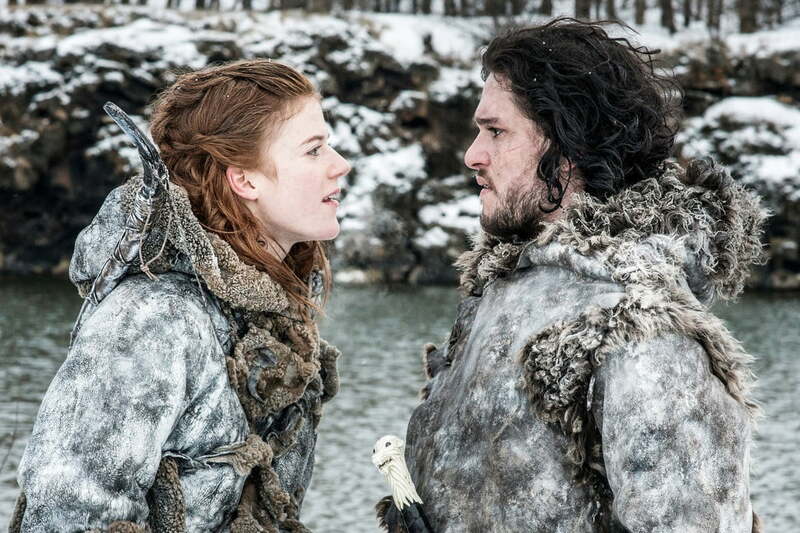 Oh, Jon Snow, you puppy-eyed boy, you really do “know nothing.” But that’s OK, Ygritte likes you anyway. Lured into a cave with a natural hot springs, Jon and Ygritte shed their furs and make Jon a man — if you catch our drift. Things get steamy further south, too, in a weird and wonderful scene involving Jaime Lannister, Brienne of Tarth, and a Harrenhal bath. Cersei and Tyrion both get new love interests, whether they like it or not, making it an all-around love-struck episode. Game of Thrones does big, epic clashes between rival armies very, very well, and the Battle of the Bastards is arguably the best of the bunch. From the opening moments, in which Ramsay Bolton mows down poor Rickon Stark with an arrow, to watching Jon Snow nearly drown in a pile of bodies, the Battle of the Bastards is equal parts thrilling and horrifying, illustrating the cost of war better than any Thrones episode before it. Ultimately, however, it’s the ladies who steal the show: Sansa saves the day by allying with Littlefinger behind Jon’s back, Daenerys sticks it to a bunch of slavers, and through diplomacy, Yara proves that she’s the leader the Iron Islands deserve. Watching Cersei Lannister get a comeuppance was exquisitely gratifying. Less gratifying but still fun to watch was Sansa — finally, finally fed up enough to bust out of her wooden helplessness and take action, making a run for it. Ramsay is so horrible, she chooses to jump off the walls of Winterfell and hope for the best rather than return to him when her flight is discovered. But of course, to make up for those moments, someone trying to do the right thing had to go. Jon Snow, we loved your pretty hair. You didn’t deserve to be stabbed, Caesar-style, by all your own men and left to die. We can only hope that you somehow miraculously survive to bat your pretty lashes in season six. God, was there anything better than watching Joffrey choke to death? Seriously. 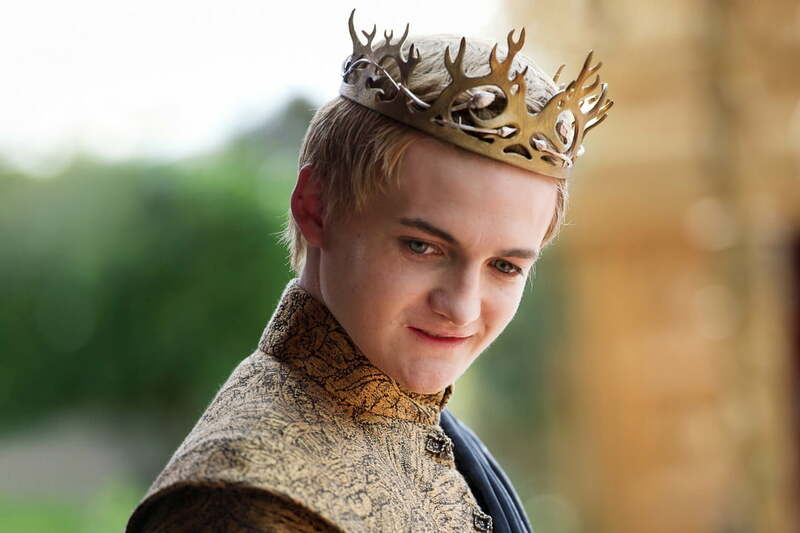 If there was one main character in Game of Thrones who truly had absolutely nothing redeeming about him, it was Joffrey. At his and Margaery’s wedding feast he is at his repulsive best. While the camera worked hard to insinuate who the poisoner might be, we were too busy waiting for him to finally just drink the damn wine and die. Sansa escapes with the help of once-knight-now-fool Dontos in the ensuing hubbub, which proves to be a very wise decision given she and Tyrion are quickly accused of the murder. 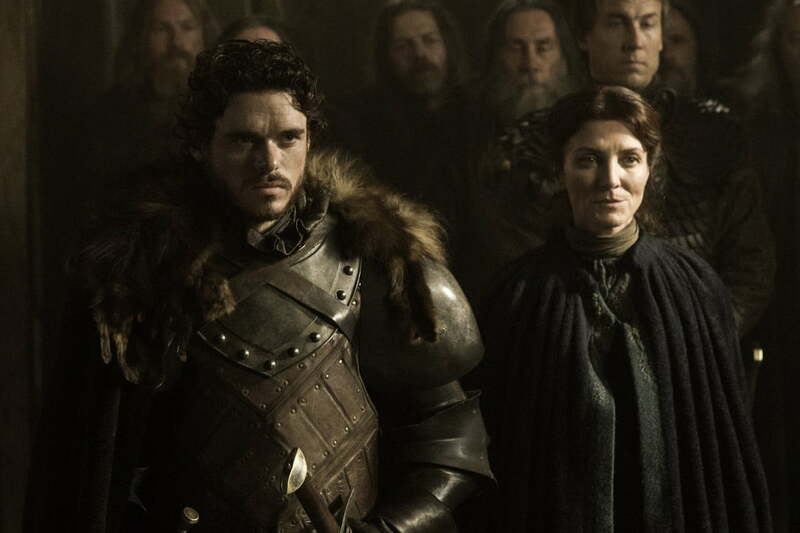 The death that tipped us off to the way Game of Thrones would roll. Lord Eddard Stark is great at telling the truth and being honorable but, sadly, he’s less effective when it comes to denouncing a king. Accused of treason, he stands before all of King’s Landing and, thinking of his family and clemency, abandons his principles and declares he lied about Joffrey’s incestuous parentage. For once, he does what everyone — family and foes, alike — want him to do, and he still gets his head lopped off. Those wily Freys. No, Robb did not learn anything from his father’s demise, and has always been more honorable than brilliant. Still, he didn’t deserve to be double-crossed just because he followed his heart and married a political nonentity who brought nothing to the table. This is also when we get a glimpse at how ruthless Roose Bolton can be. Old Walder Frey, don’t you think for one second that we didn’t know you were up to no good! Once a Filch, always a Filch. 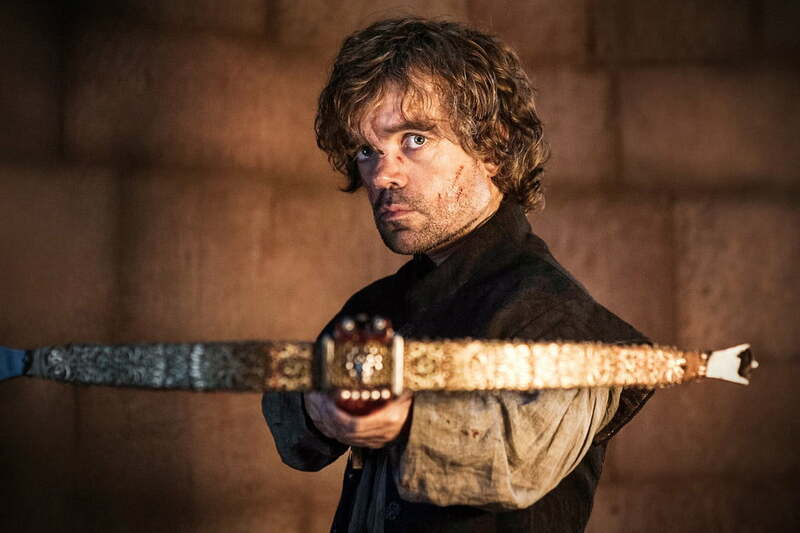 We couldn’t help but root for Tyrion when he had that crossbow pointed at his dad. After finding Shae, his one-time mistress, in his father’s bed, Tyrion murders her and fires a bolt into Tywin. We didn’t think Tyrion had it in him, and neither, to his demise, did his dad. But Tyrion, not for the first time, manages to tap some inner reserve of courage he keeps well hidden under layers of wit and wine. After killing his dad, he escapes with the help of Varys for even bigger adventures.